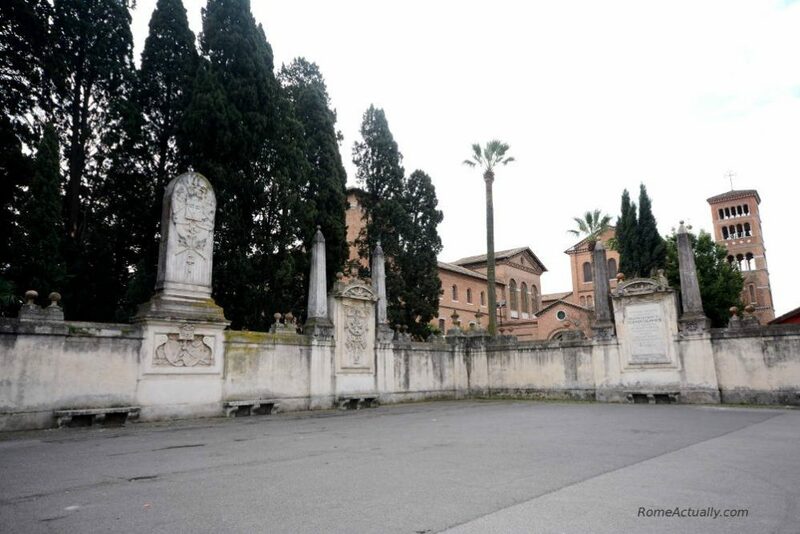 The Aventine Hill in Rome is possibly one of the most charming corners of the city centre. 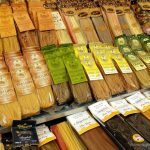 A stone’s throw from major landmarks such as the Colosseum, the Circus Maximus and the Baths of Caracalla, much of this area is still prerogative of the in-the-know-traveller. This is one of the seven hills on which Rome was founded. Many think of it as the hill of poetry because poets such as Gabriele D’Annunzio and Giosuè Carducci, mentioned its beauty. There are many theories linked to its name. According to some, it stems from “aves”, Latin for “birds”, that Remo saw during the competition with his brother Romolo to decide where they should have founded Rome. Others say it comes from the word “adventus”, people’s gatherings in the occasion of the celebrations for the goddess Diana. Or from “Avente” the river of the Sabina as the Sabines started living here after the famous “abduction of the Sabine women”. Finally, there is a theory that seems the most possible.The name probably stems from “Aventinus”, the king of Albalonga. According to the legend, here he was hit by a lightning and was buried. Hard to say where the name comes from as well as when the Aventine hill was first inhabited. Even though already included within the Servian Walls erected in the 4th century BC and named after the sixth Roman king Servius Tullius, it was only during the time of Claudius in the 5th century BC after a popular protest against the tyranny of the decemvirs, who were then forced to abdicate. Initially a trading and commercial area, little by little the Aventine Hill became the place for the luxury villas of emperors, architects and poets. Due to its wealth, the Aventine Hill was one of the most heavily hit areas during the Sack of Rome in 410 AD by the Visigoth king Alaric. After this, the Aventine became mainly a desert and for this, the favourite hermitage place for monks. After centuries of stormy history, today this is a place for luxury, relax and beauty. 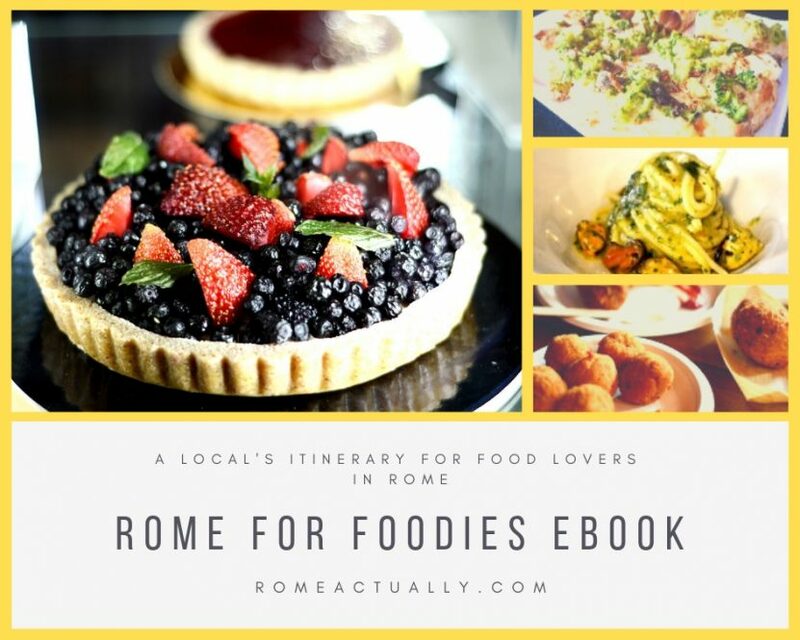 Read on for all the places to visit in the Aventine hill in Rome. 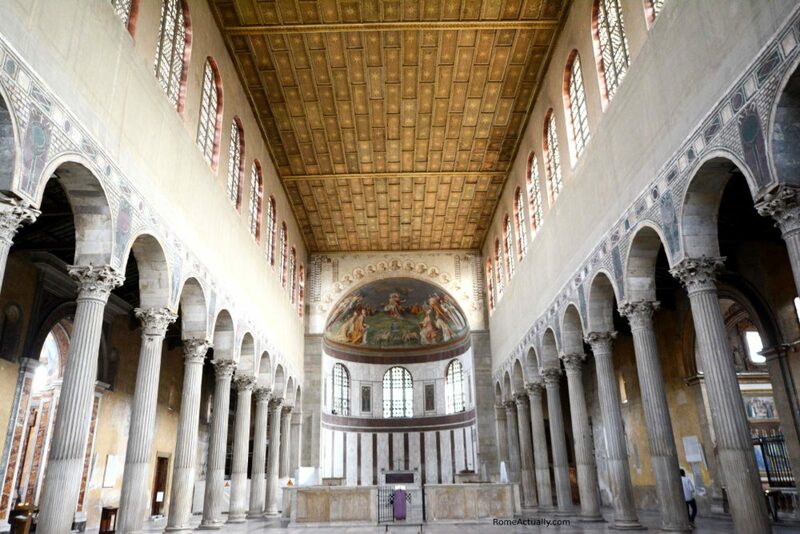 The basilica of Santa Sabina is an early Christian worship place dating back to the fifth century. Inside, it looks like all churches should be: simple, unadorned and inspiring poverty rather than shiny luxury. Pietro d’Illiria founded Santa Sabina basilica in 425 AD near the Temple of Juno, of which they kept the 24 white marble pillars. Construction works ended seven years later under the pope Sixtus III, even though throughout the centuries several renovations, as well as the Sack of Rome, completely changed the original appearance and sometimes also its purpose. In the 10th century it became a small stronghold and later a fortified residence for noble families. In the 13th century, pope Honorius III gave the church and part of the palace to Saint Dominic de Guzman, founder of the Dominica Order. The cell where he lived has been transformed into a chapel and can be visited. In 1222 the Dominican friars moved to Santa Sabina monastery to leave St. Sixtus cloister to the Dominican nuns and the basilica went through more renovations to be able to house the monks. In 1874, Rome’s Council used the complex as a sort of hospital due to an epidemic of cholera. The undergrounds of Santa Sabina basilica show private houses from the 2nd century BC as well as one from the 3rd/4th century and relics from the Servian Walls. 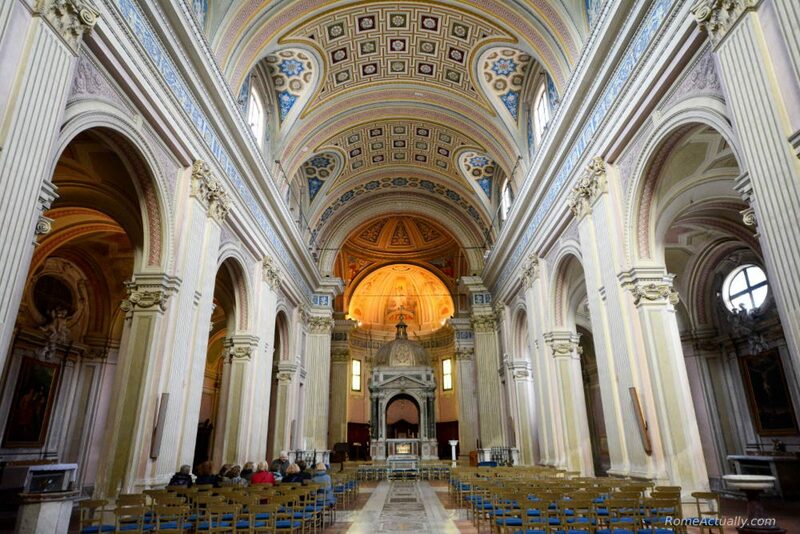 The church interior has three naves divided by 24 pillars capped with multi-hued marble capitals of Roman time. The daylights enter from 29 glass windows dating back from the 9th century and the side walls show frescoes from the 5th century. Inside the basilica you will also see a large inscription tribute to San Pietro d’Illiria and pope Celestino I, who gave the concession to build the church. On the sides is a beautiful mosaic depicting two female figures, one is the church of of Jerusalem holding the Old Testament and one the Roman Church holding the New Testament. In the middle of the central nave is the burial stone of Muñoz de Zamora, one of the first generals of the Dominican Order, while on the right side of the wooden door is a little column where St. Dominic used to pray all night. When you are looking for inspiration there is nothing better than tickling your senses. The Orange Garden was not easy to find. At the time of my visit, it wasn’t a tourist spot, so not well highlighted in maps and guidebooks. Once I made my way to the district where I had roughly located it, the only way to find it was to entirely rely on locals’ knowledge. I asked a bar tender, but she pointed another customer to me who proved to be an expert in the field and very willing to gave me the best tips on the quicker way to get to the place. From Via Marmorata I was to walk back along Lungotevere Aventino, dominated, in fact, by the Mount Aventino, where the Garden is perched. He did warn me it was going to be uphill. At 3 pm, my winter clothes proved more a burden rather than a protection against the last burst of cold blowing winds. As I wandered aimlessly, I was about to give out when I spotted a small alley seemingly leading nowhere, Clivio di Rocca Savella. Only the sign indicating the presence of Santa Sabina basilica put me on the right path towards the Orange Garden. Past the alley, I turned right to keep going uphill. Finally, I ended up in a small square, Piazza Pietro d’Illiria, where the whole area looks like a chaotic cluster of intersecting lines. Here was the entrance to the Garden. After the short, impromptu visit to the old church of Santa Sabina, I stepped over the threshold of the Garden to find myself surrounded by orange trees and their sweet cargo of heady scent. My original plan to do a quick photo-tour of the garden got somehow extended along the way. Since I had decided to surrender to pleasure, I was bent on enjoying every single minute of my afternoon. In the Orange Garden in Rome tourists were seldom seen. It was mostly a little known corner where locals hung out, a little hidden from the tourist-packed city centre. Now much has changed and it’s actually pretty popular. The view of the Lungotevere Aventino, with Saint Peter Basilica in the skyline, is what attracts a constant stream of photographers. I loved to feel immersed in nature in the heart of one of Italy’s biggest cities. An unusual spot that was far from Rome’s famous green parks and where time seemed frozen. What is now one of Rome’s most iconic photography spots also hides a view with surprise. You might have read and heard about the Knights of Malta Keyhole. But only after you peek through it, you’ll understand its beauty. According to the legend, Rome’s Aventine Hill is a huge ship sacred to the Knights Templar. This ship, at some point, is supposed to set sail towards the Holy Land. The Knights of Malta commissioned architect and painter Giovanni Battista Pironesi to turn the area into a place of worship and prayer. Pironesi himself was a devout admirer of the Knights Templar. Reason why his design included also several symbols, references, architectural elements, numbers, formulas easy to spot by who already possesses the knowledge to interpret those signs. The southern part, V-shaped and descending towards the Tiber, is the ship’s bow, while the gate to the HQ is the entrance to the bridgehouse. 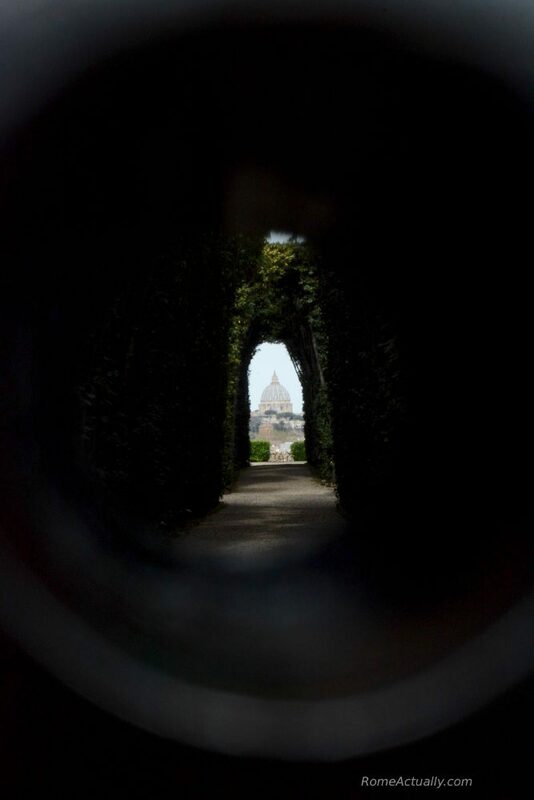 The main gate is where the famous keyhole is: watching through you will see St. Peter’s Dome in an exceptional perspective interplay. Towards the valley of the Aventine, you will find yet another wonderful park, Rome’s Rose Garden. Displaying a huge variety of roses, this opens only in Spring around April/May. Founded in 1950 by the local municipality, its plan reminds of a Menorah and at the two entrance gates you will see the table of Moses’ Law. This is because between 1645 and 1895, what is now the Rose Garden in Rome was a Jewish cemetery. Before that, in ancient Roman times, here was the temple of goddess Flora. Sant’Alessio church is very ancient, dating back to probably the 3rd century. Originally, it was devoted to Christian martyr St. Bonifacio. Centuries later, the title of the church included also St. Alessio who finally remained the only saint of the basilica. The monks running the basilica received some surrounding houses and they adapted them to form the first monastery. Soon after that, pope Benedict VII gave the church to the Basilian monks escaped from the Saracens together with bishop Sergio of Damascus. Also this church went through several renovation phases, up to the 18th century, when Cardinal Andrea Querini commissioned the expansion of the monastery and the new facade. Despite all the renovations, we can still see some elements from the original church, such as two of the 19 pillars decorating the place in the 3rd century and the crypt where the remains of St. Thomas Becket are kept. Here is also the pillar where, according to tradition, St. Sebastian was martyred. This, too, is a very ancient church. 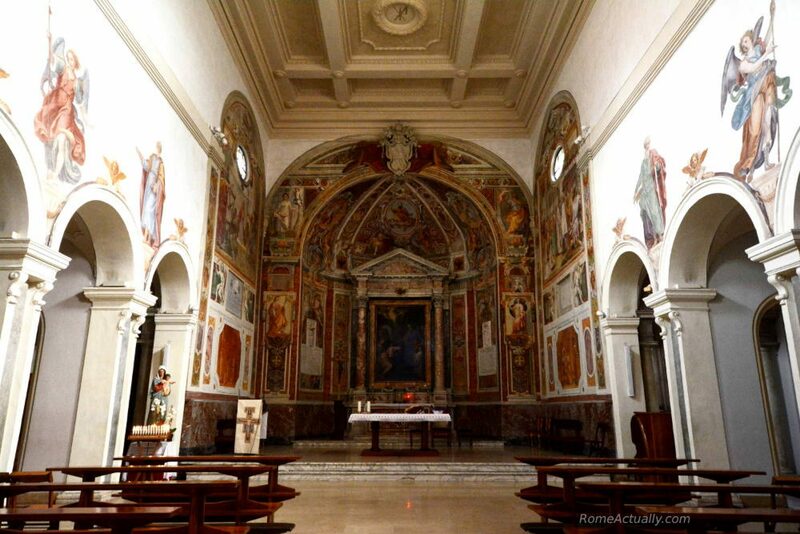 Where the church was founded is recorded the most ancient Christian cult of the Aventine Hill. This is where was the family residence of Saint Prisca, Christian martyr of the 1st century. House that is said to have hosted also Saint Peter and Saint Paul. When the body of martyred saint Prisca was found, the existing church was named after her. While it’s not sure if saints Peter and Paul were actually guests of this house, what is certain is that this was one of the major centres for Christian preaching and gatherings. The church underwent a series of renovations, being the main ones in the 8th, 11th and 17th centuries, but the original building is very old, seemingly dating back to the 3rd century. Even after all the renovation works, the church does preserve some of the ancient features, such as the original 14 pillars and several areas in the undergrounds that were ancient Roman houses. Here, it’s also possible to visit a fantastic Mitra temple from the 2nd century that even though it was partially destroyed, it can still be admired. Imposing example of neo-Romanesque sacred architecture of late 19th century, Saint Anselm Church was devoted to the saint bishop of Canterbury. The building was commissioned by the Benedictine monks upon request from pope Leo XIII to help boost the studying of the Catholic religion. Works started in 1893 and ended in 1900. Once past the entrance gate, the exterior of the church is pretty simple and austere-looking. After a little passageway, you get to a portico with the bronze statue of the saint. The interior has three naves divided by twelve granite pillars and the apses are decorated with the mosaics of German monk Radbodus Commandeur. Under the main altar are the relics of Saint Anselm and in the crypt you can see other 16 altars.